Very nice blog from Kevin Greene tells how to do it. 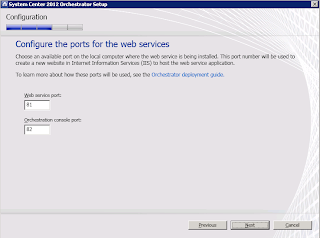 If you are happy enough with your product upgrade sequence and are now ready to start the Orchestrator 2012 RTM upgrade to Service Pack 1, then this blog post will detail the pre and post SP1 upgrade tasks that you need to consider along with the deployment of SP1 to your Orchestrator server infrastructure. 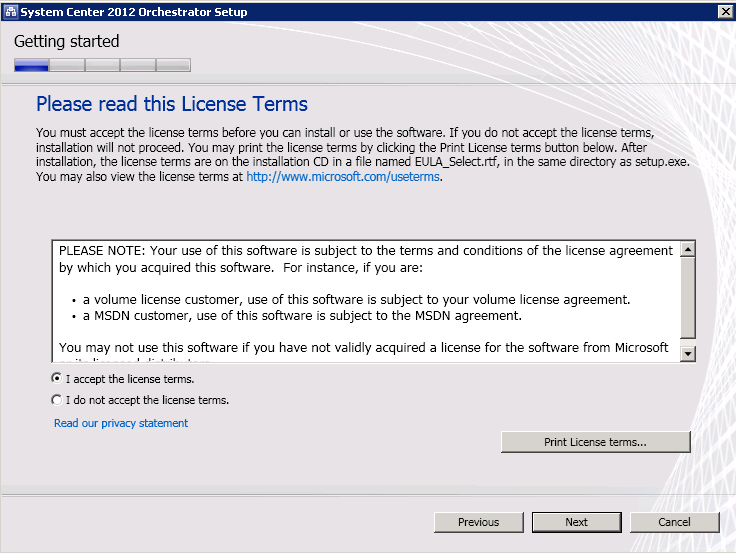 Some of the information contained in this post will be taken directly from the accompanying ‘Orch12_UpgradeSP1’ guide from Microsoft. 1. 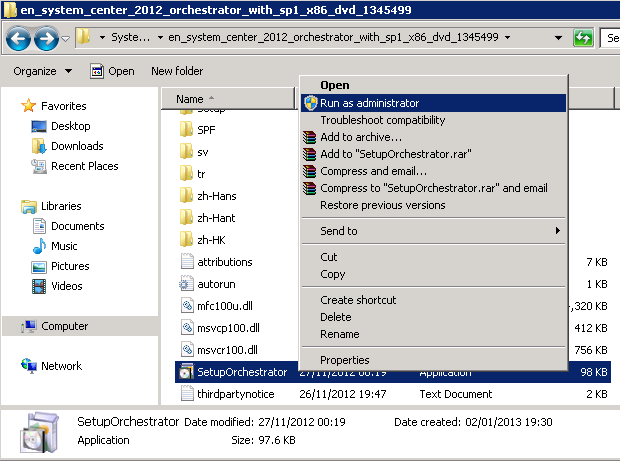 Complete all runbooks running in your current Orchestrator installation and ensure they are in a stopped state. 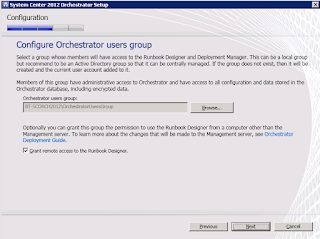 For information about stopping runbooks, see the Running Runbooks topic in the Orchestrator library on TechNet. 2. Close any open programs and ensure that there are no pending restarts on the computer. 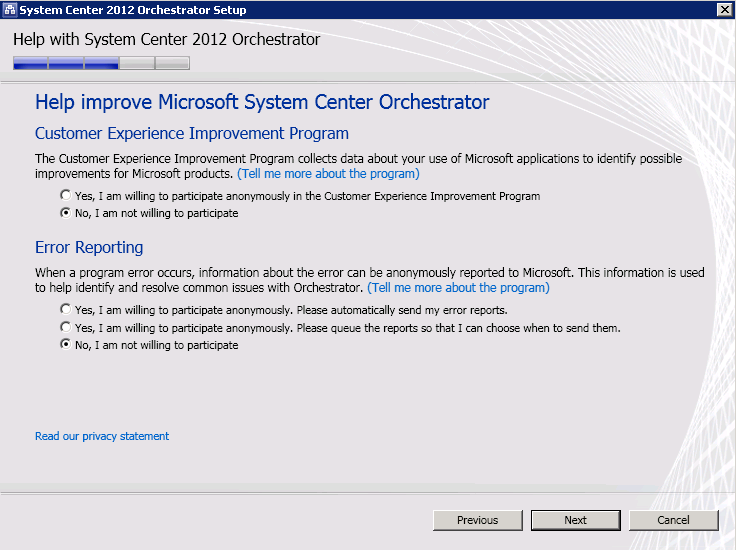 If possible and as a precaution, just restart the Orchestrator server(s) to alleviate this issue. 3. 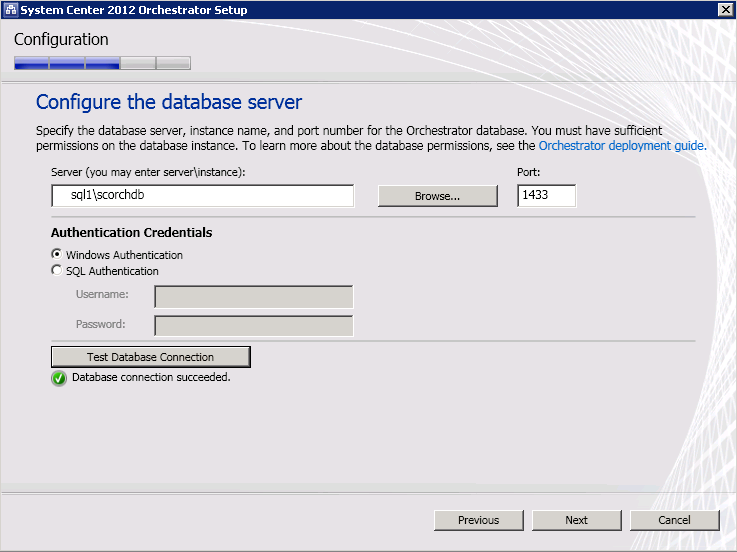 Perform a full backup of the Orchestrator database. 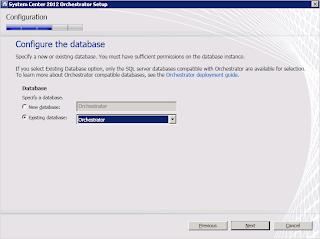 For information about backing up the Orchestrator database, see the How to Back up Orchestrator topic in the Orchestratorlibrary on TechNet. You can also use tools provided by SQL Server to back up the Orchestrator database. 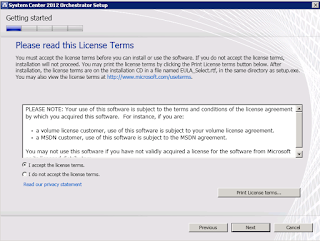 For more information, see Backing Up and Restoring Databases in SQL Server. 4. 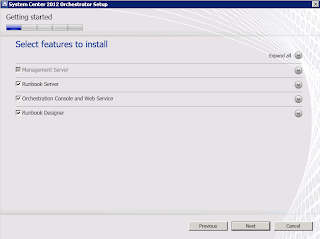 Upgrade your hardware, operating system, and other software if necessary to meet the requirements of Orchestrator in System Center 2012 SP1. 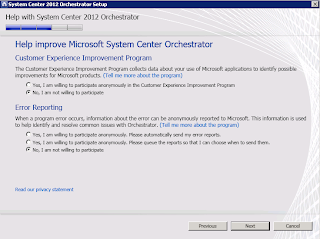 You can review the SP1 requirements for Orchestrator here. 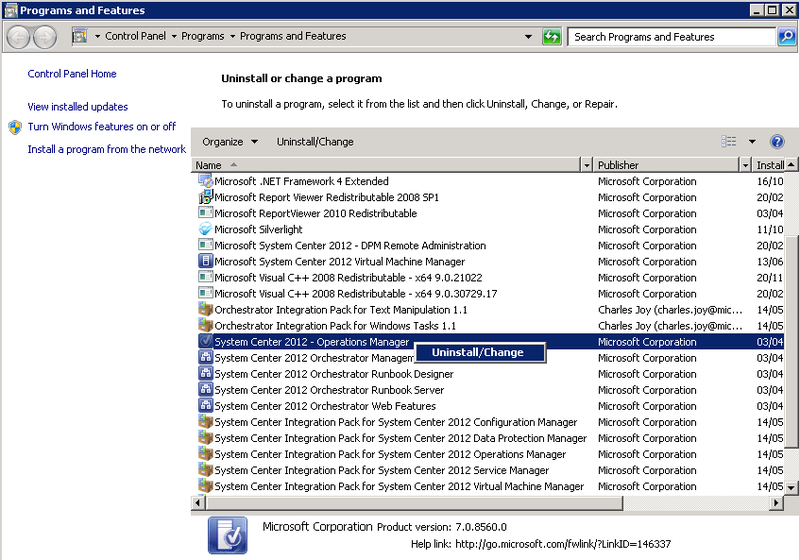 A System Center 2012 integration pack against a System Center 2012 component. 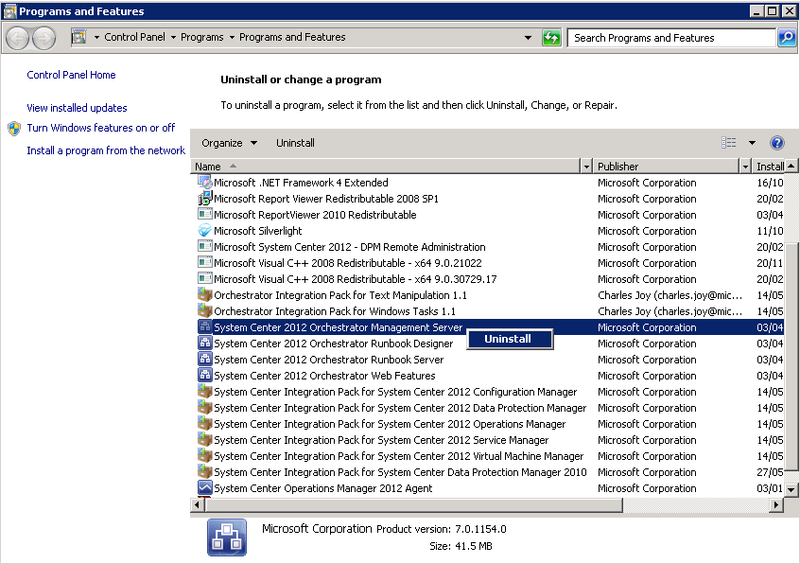 A System Center 2012 SP1 integration pack against a System Center 2012 SP1 component. No other configurations are supported. 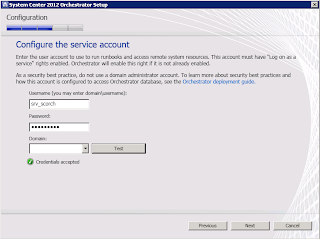 If using SCOM 2012 to monitor your Orchestrator environment, put all of the Orchestrator servers in to maintenance mode. 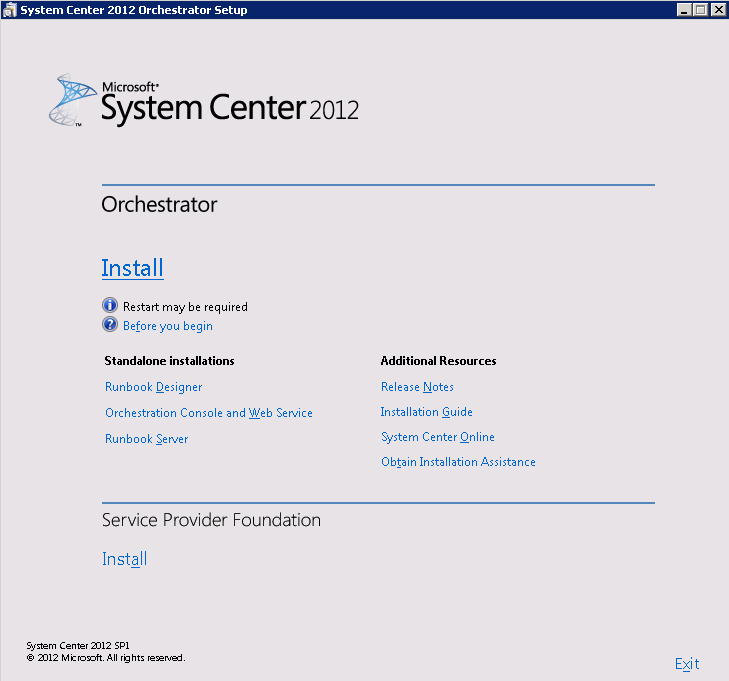 Uninstall the Orchestrator management server, any runbook servers, the Web Service, and the Runbook Designer. 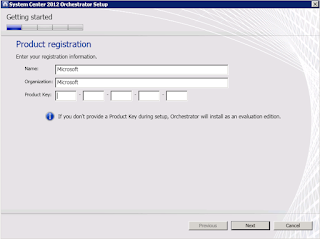 Install any Orchestrator runbook servers in System Center 2012 SP1. 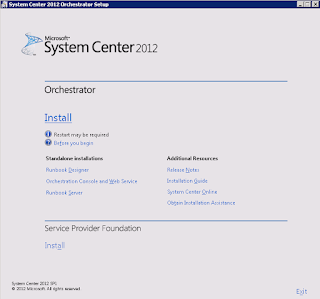 Install the Orchestrator Runbook Designer in System Center 2012 SP1. 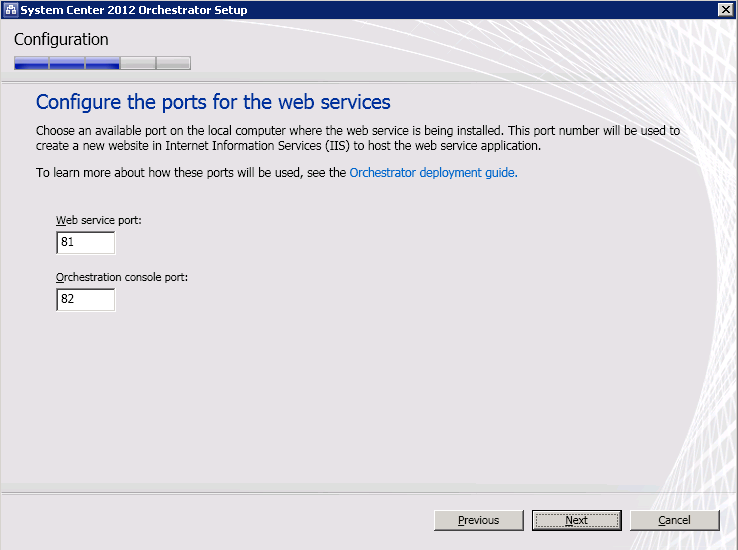 If needed, install the Orchestrator Web Service in System Center 2012 SP1. 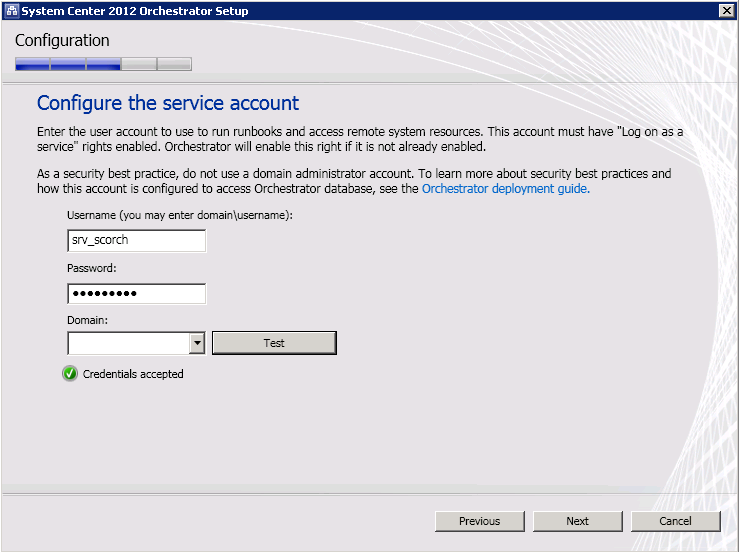 Take the Orchestrator servers out of maintenance mode. Return to the Upgrade Sequencing Guide. 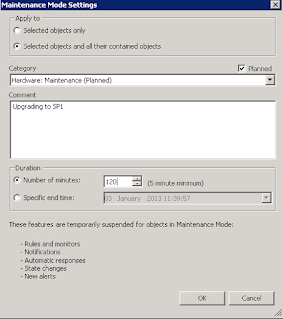 If you are monitoring your Orchestrator 2012 servers with SCOM 2012, then it’s a good idea to place these servers into Maintenance Mode in SCOM before you start upgrading them to SP1. Doing this will stop any alert storms notifying you that Orchestrator isn’t functional and will ensure that your SLA’s are maintained. 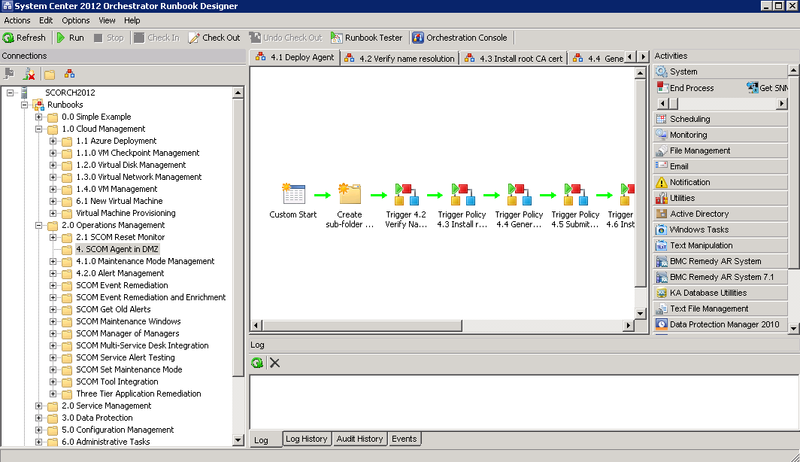 You should then have an icon with a picture of a wrench located beside your Orchestrator 2012 server(s) as well as a status of Not Monitored indicating that you have placed it into Maintenance Mode. 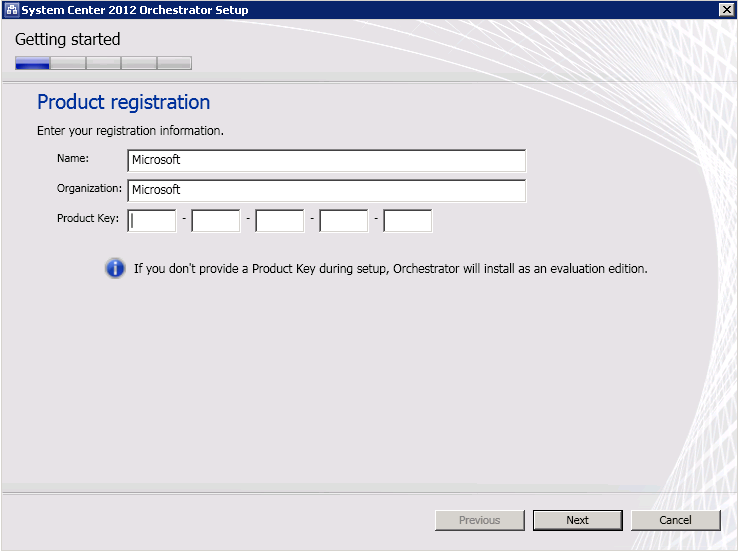 If you have integrated Orchestrator with any of the other System Center 2012 products, then you will have the relevant stand-alone console for the integrated product installed on your Orchestrator server(s). These consoles will first need to be uninstalled before you upgrade to SP1. 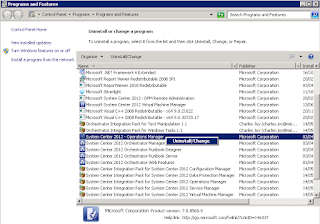 As a matter of fact, if you follow the Upgrade Sequencing for System Center 2012 SP1guide, you will see that some of these consoles will need to be uninstalled anyway as part of the products own SP1 upgrade. 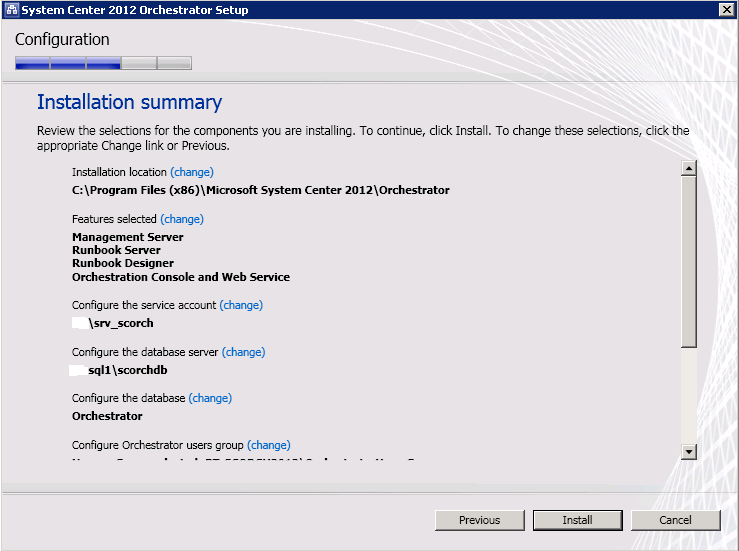 The next step in the upgrade process is to uninstall the Orchestrator management server, any runbook servers, the Runbook Designer and the Web service. These components will be reinstalled later as part of the SP1 upgrade. Similar to the uninstall process above, with an account with administrative permissions, logon to the Orchestrator server, click Start, type appwiz.cpl and then hit Enter to open up the Programs and Features window. 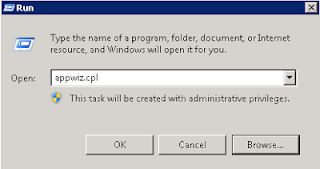 From here, you can right-mouse click on the Orchestrator Server component that you want to remove and simply click on the Uninstall/Change button as below. Repeat this step until you have removed all of the Orchestrator server components (management server, any runbook servers, the Runbook Designer and the Web service) from your Orchestrator server(s). 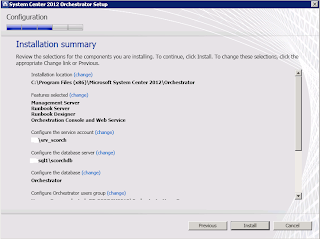 Once you have uninstalled all of the Orhcestrator server components, I’d recommend a restart of the server(s) just to ensure that there are no open files or stale registry keys before we proceed with our upgrade to SP1. 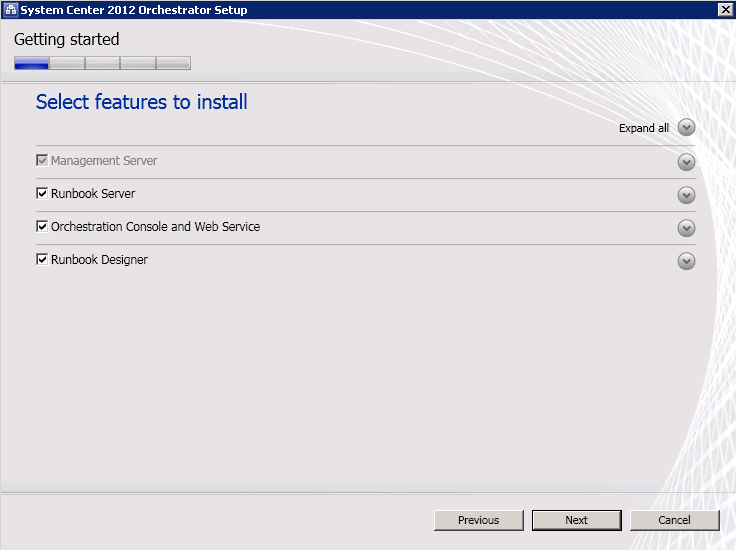 To install the SP1 Orchestrator server components, logon with an account that has administrative permissions and then browse to the location on your server that you have mounted or extracted the System Center 2012 Orchestrator Service Pack 1 media to. 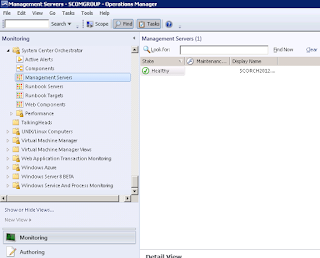 From the Configure the Database Server window, enter the SQL server and instance along with the relevant authentication and port information and then click Test Database Connection. If the database connection test succeeds, click Next to continue. 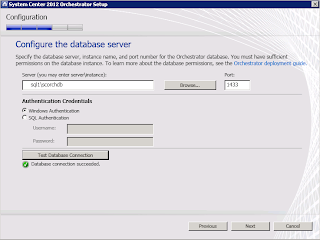 Now from the Configure the Database screen, select the Existing Database option and choose the original database that you had deployed Orchestrator 2012 RTM to. Click Next to move on. 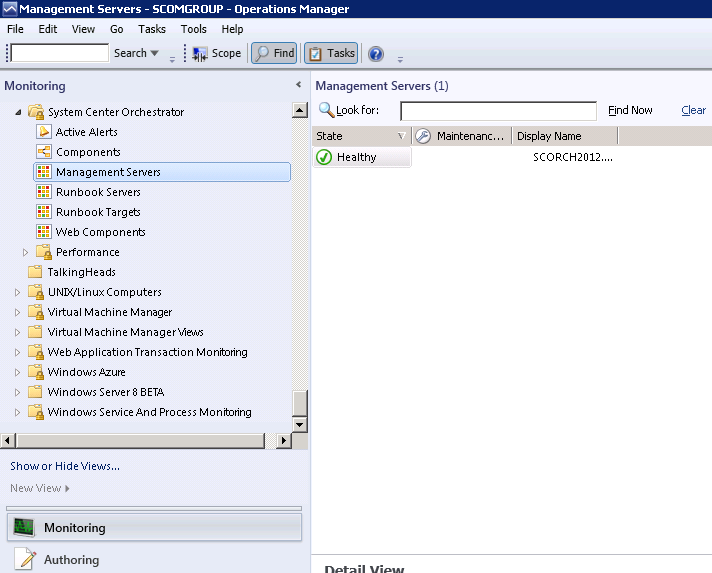 Once the upgrade process is complete, if you haven’t placed a time limit on your Maintenance Mode configuration of the SCOM agents on your Orchestrator servers, ensure that you take them out of Maintenance Mode now. Follow the process further up in this post to turn off Maintenance Mode. 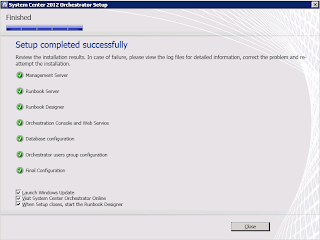 Be aware that if you install an integration pack that is specifically for SP1, then any earlier version integration packs will need to be first uninstalled from all runbook servers and designers before you can deploy the new SP1 ones. 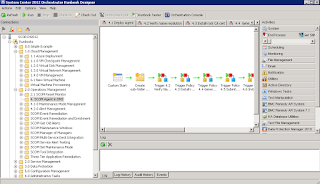 You can then register and deploy the upgrade of the integration pack. If you do not uninstall the previous version of the integration pack prior to registering and deploying the upgrade version, the upgrade version will fail. 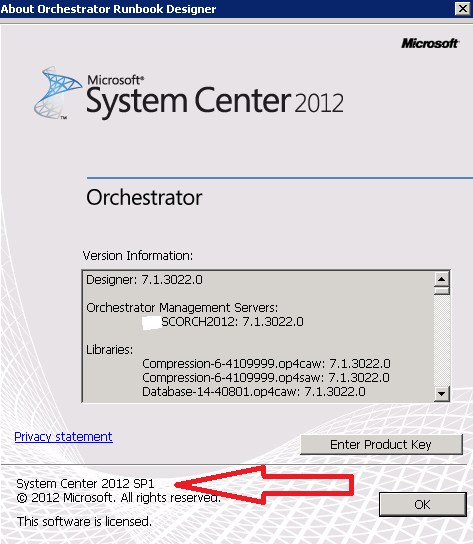 On the 3rd January 2013, Microsoft released the ‘System Center 2012 Service Pack 1 – Orchestrator Component Add-ons and Extensions’. 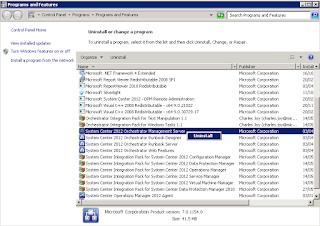 It is highly recommended that once you have upgraded your other System Center 2012 products, that you then download these add-ons and extensions and deploy any integration packs that are relevant into your environment to ensure you get the most out of your Service Pack 1 experience. 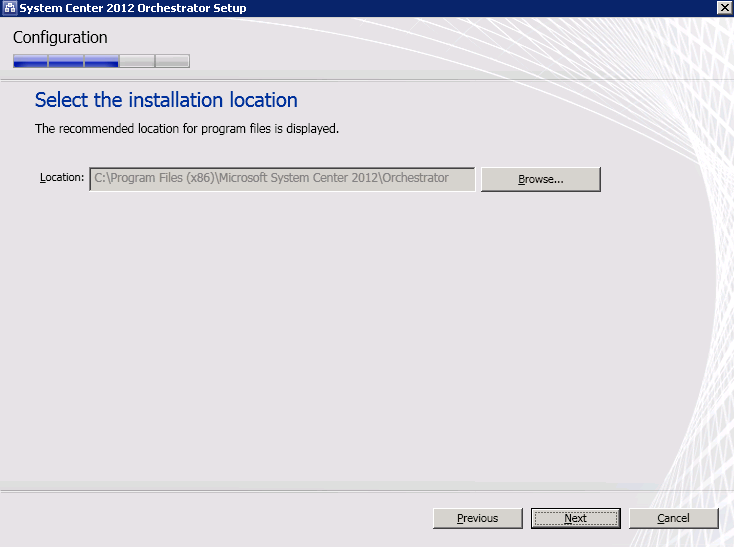 That should be all you need to do now to upgrade Orchestrator 2012 to Service Pack 1. 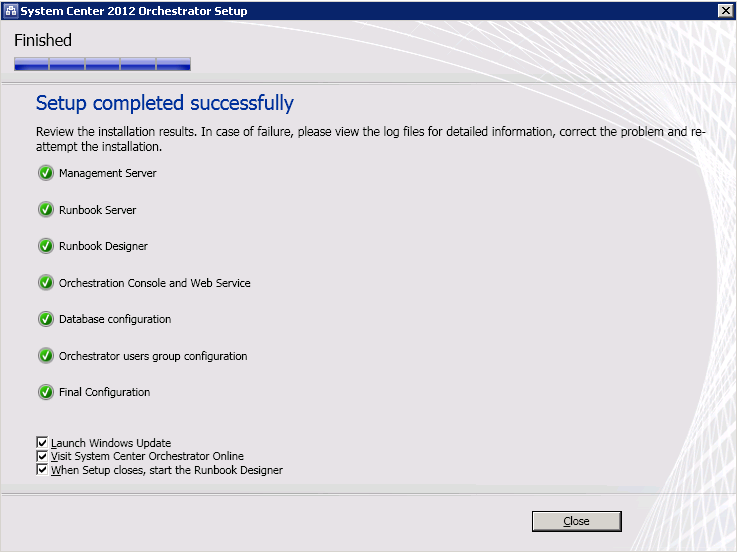 Ensure that you refer back to the ‘Upgrade Sequencing for System Center 2012 SP1’. 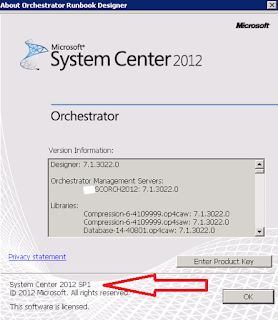 guide to ensure that you upgrade any other System Center 2012 products in the correct order.